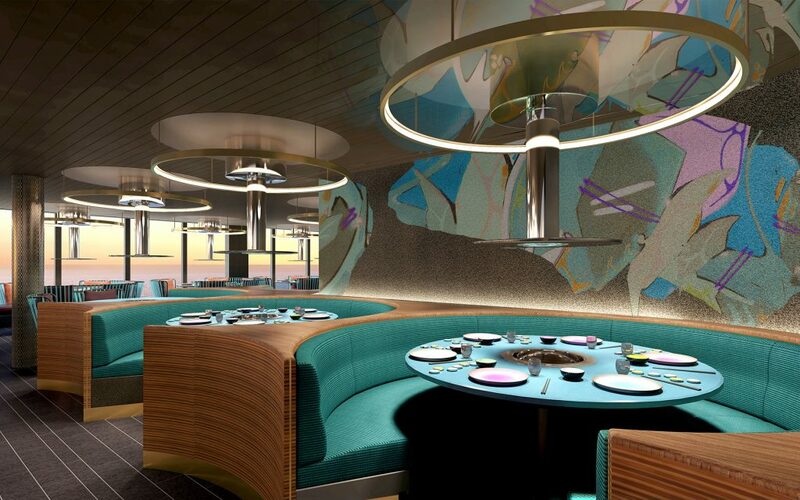 Situated in a 5,866 square foot restaurant at the aft end of the ship, Wake offers sailors a dramatic view of the ship’s wake. 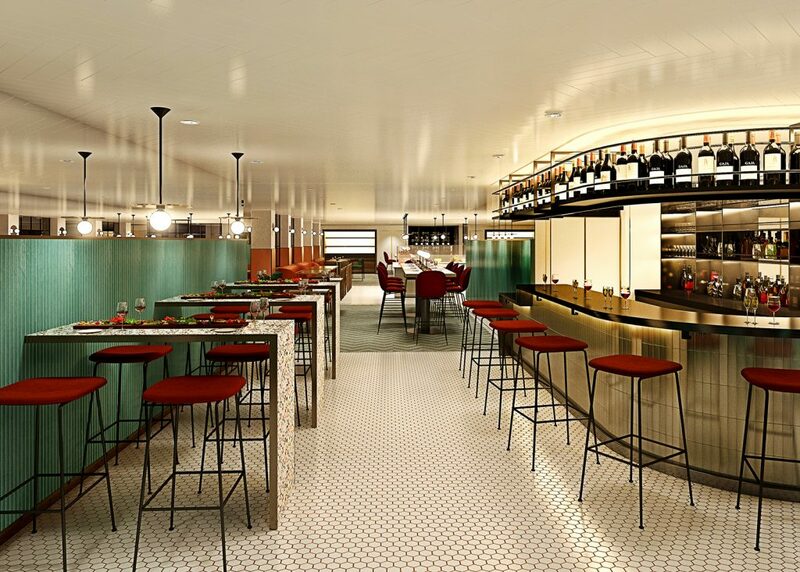 Serving a theatrical take on steak and seafood, Wake is the most glamorous restaurant on the ship with an experience inspired by The Wolseley – London and The Grill – New York. Offerings include a raw bar, land and sea classics, a cocktail cart and a Sommelier led Magnum program. 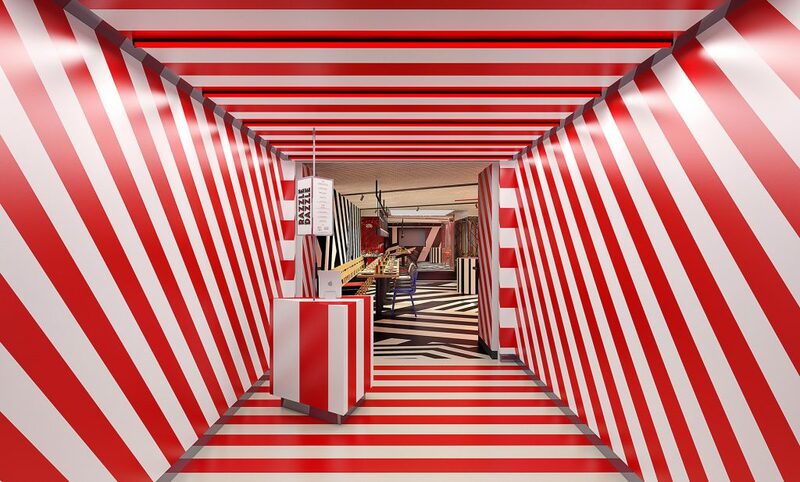 With an interior scheme that nods to the namesake – the bold camouflaging of ships from WWI using patterns of black and white paint – Razzle Dazzle was designed by Concrete Amsterdam. 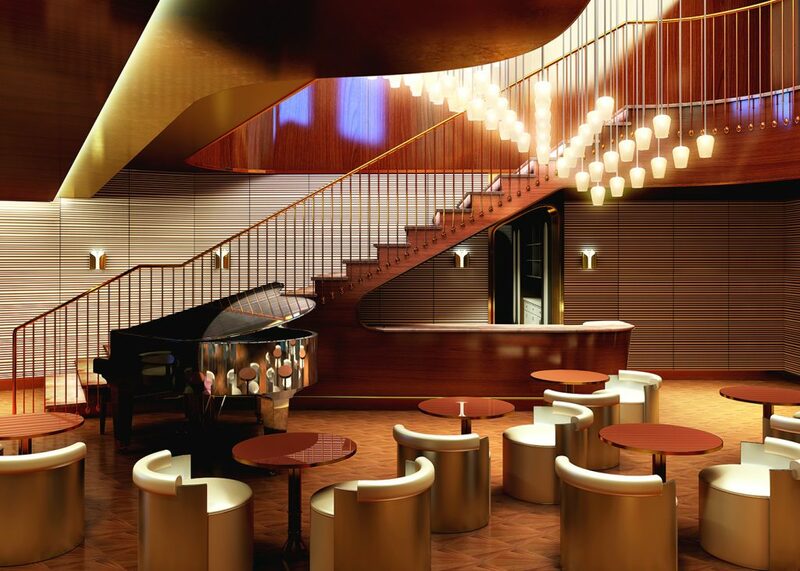 It will feature vibrant and creative twists on vegetarian fare and a juice bar. Razzle Dazzle delivers a healthy dose of nice with just the right amount of naughty. The “nice” menu offers plant-based vegetarian and vegan dishes including must have treats such as the Impossible Burger. The “naughty” side enables sailors to order meat “add-ons” and offers to spike healthy smoothies with boozy shots. Sailors will also be treated to a performance by the Scarlet Lady’s resident drag performer and friends. 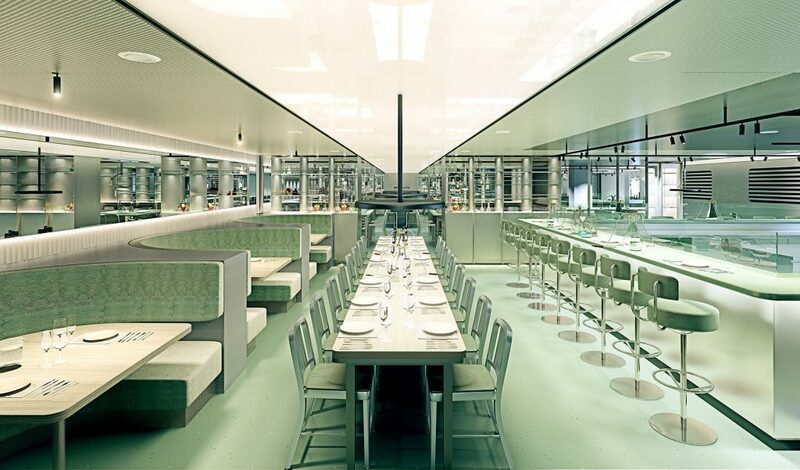 The Test Kitchen will offer sailors innovative avant-garde cuisine in a clean and modern space. 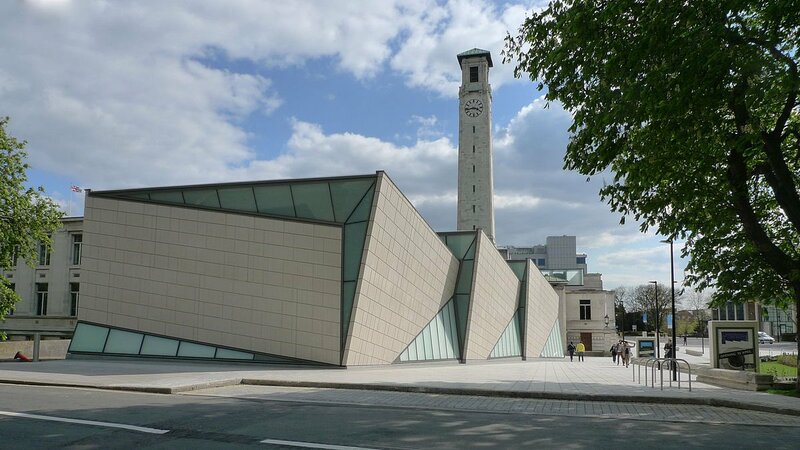 This laboratory style eatery is part cooking school and part restaurant, giving it an atmosphere that is educational, experiential and social. The chef-driven set menus are presented in the form of an ingredient list so sailors can discover how the chef combines the list of flavours throughout the course of the meal. Geonbae is a Korean BBQ restaurant designed by Soft Room. 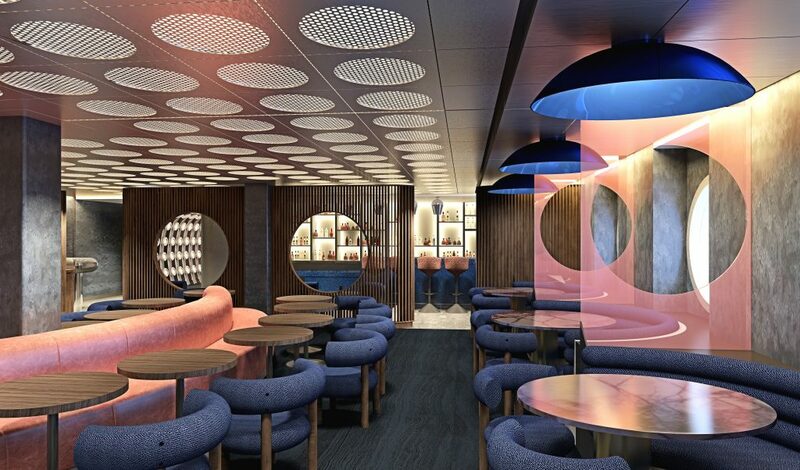 Hosted by the loudest servers at sea, each meal will begin with a complimentary round of soju for the table and throughout the evening sailors are encouraged to take part in lively Korean drinking games. 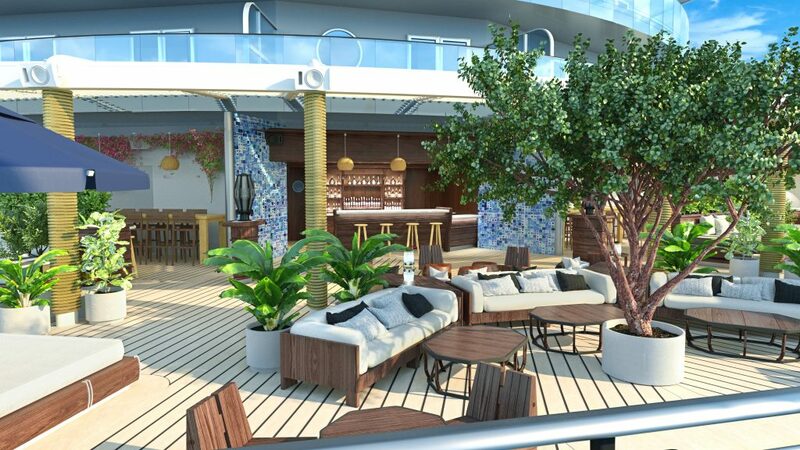 A social, hands on, interactive and fun dining experience, Geonbae features specially engineered flameless grills built into each table allowing sailors to cook their perfect BBQ. An elevated Mexican restaurant, Pink Agave transports sailors to the vibrant streets of Mexico City through immersive void lighting. It offers a wide variety of Mexican specialties that inspire sailors to discover authentic Mexican flavours. Pink Agave’s dishes can be paired with a cocktail from the Scarlet Lady’s expansive collection of mezcals, or signature Agua Fresca cocktails. 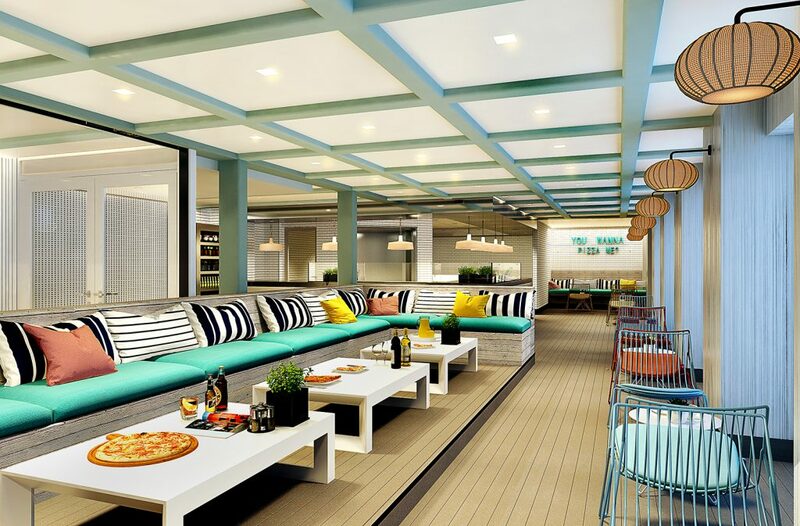 Extra Virgin is the ship’s trattoria, serving regionally-inspired food, such as handmade fresh pasta. Extra Virgin features a wide and wonderful world of amari and digestivi and traditional Italian aperitifs designed to stimulate the appetite. The wine list will be designed with a unique infographic system to help sailors better understand Italian wines and enable them to navigate to the perfect bottle. The integration of a Coravin at the bar will allow people to taste rare Italian wines by the glass. The Dock is a perfect place to hang out, day and night. 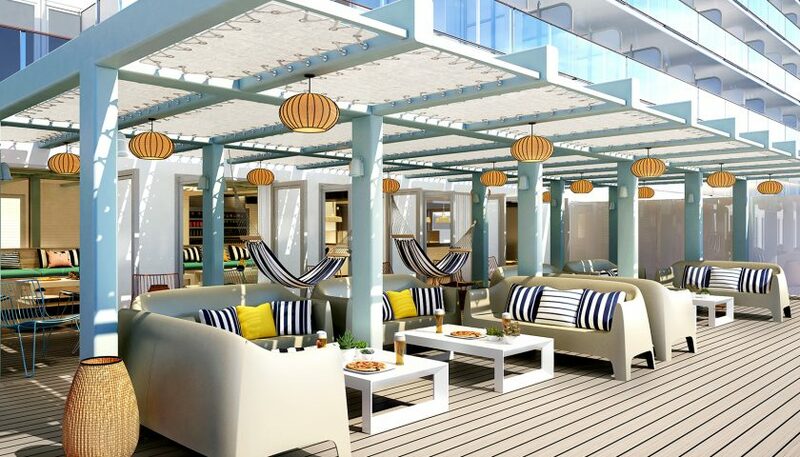 Set in the ship’s sun-dappled lounging area at the aft end of the ship, the restaurant is a beach club-inspired space. Carts of Mediterranean small plates, salads, dips and mezze provide perfect grazing options throughout the day. Flame-grilled to order skewers provide hot options for those wanting a substantial bite to eat. The Galley will be the main space for a quick and casual meal during the day. The food hall will feature more than eight shops and food carts, each offering irresistible signature dishes that change to suit the time of day. 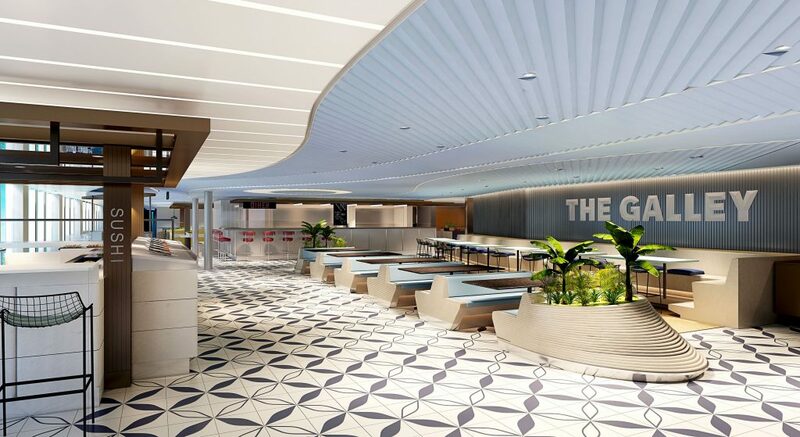 The Galley’s concepts include a dedicated bakery and pastry shop, a panini shop, a burger grill, a taco shack, a sushi bar with bento boxes, a noodle bar, a soup and salad stand, and a 24-hour American diner. Forget about pizza slices sitting under warming lamps on Scarlet Lady, as everything is made fresh at The Pizza Place. Sailors can choose from a classic menu or design their own bespoke pizza. 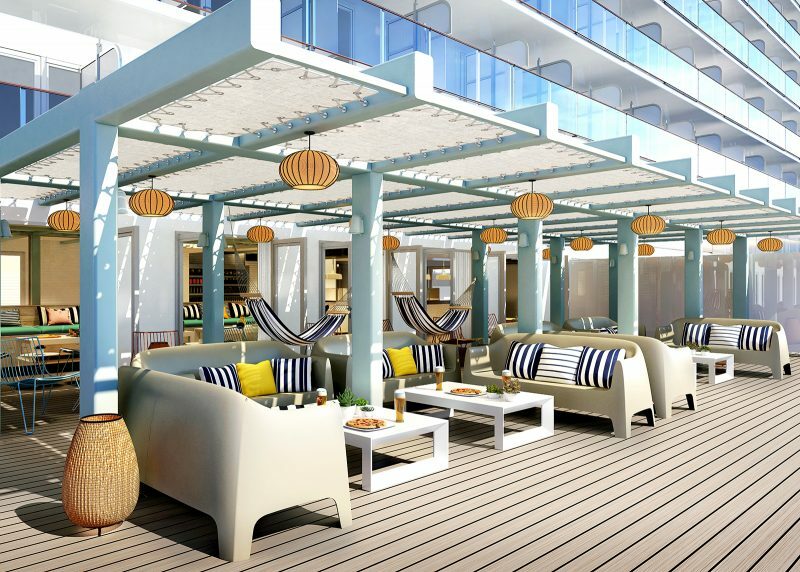 The Pizza Place features a beach club-inspired design with white and pastel coloured furniture and navy striped accent pillows with hammocks for lounging. 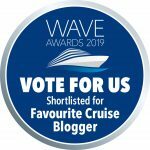 The Virgin Voyages experience is rooted in the modern romance of sailing: a thoroughly modern take on the enchantment and indulgence of the ocean liner heyday when ships were at the forefront of technology and luxury. 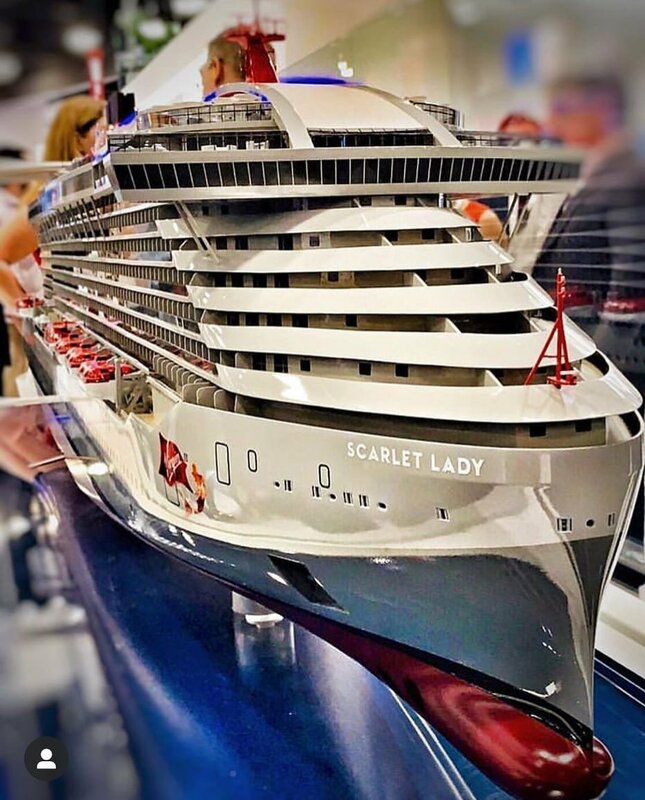 With its maiden voyage scheduled for the 2020 season, Virgin Voyages’ first ship Scarlet Lady was designed to reflect a yacht’s sleek luxury. A silver-grey hull and smoked glass with playful red highlights nod to Virgin’s iconic brand. 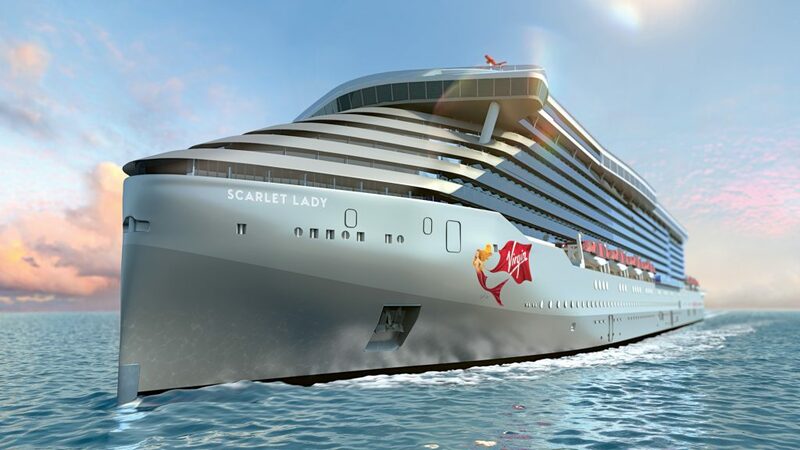 Virgin Voyages is committed to being one of the cleanest fleets at sea with sustainability at the forefront. 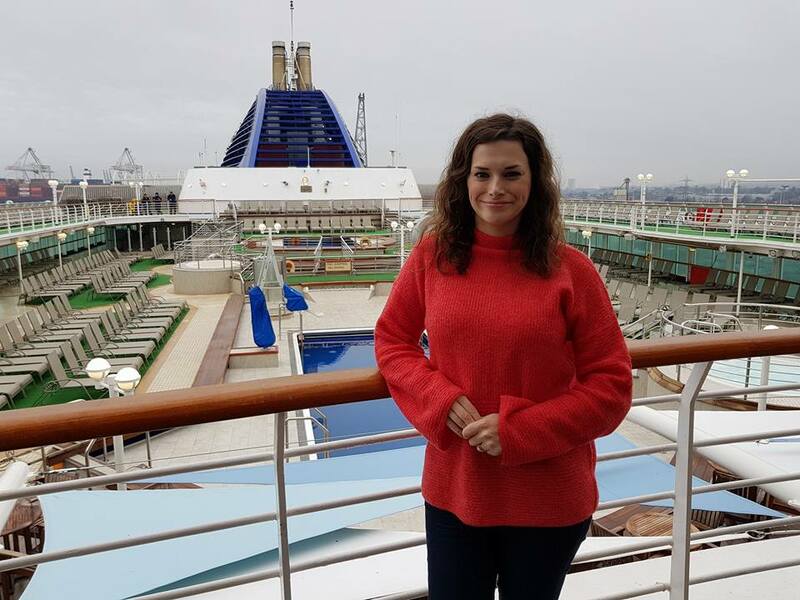 They are the first cruise line to eliminate all single use plastics for their sailors and are developing clean energy technology and innovative waste management systems on board. 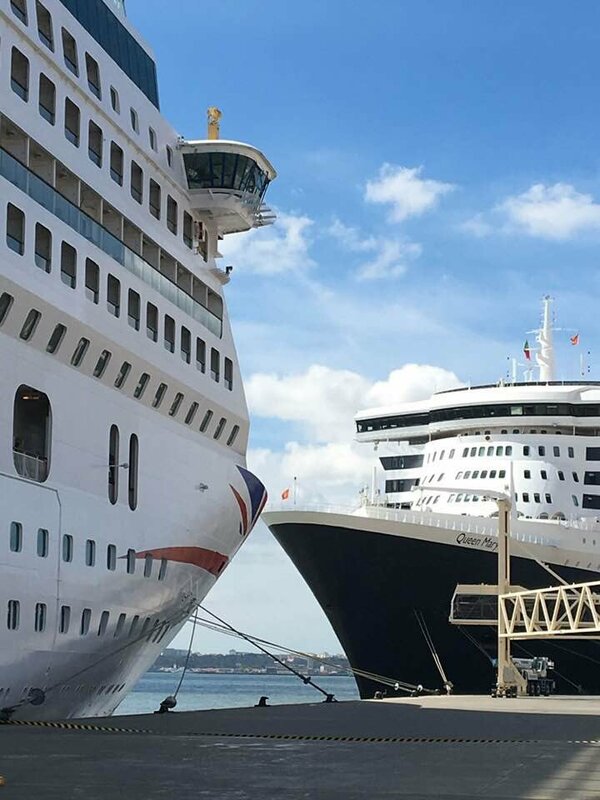 The inaugural season will host more than 2,770 adult-only sailors and 1,160 crew, on an unforgettable voyage to the Caribbean. 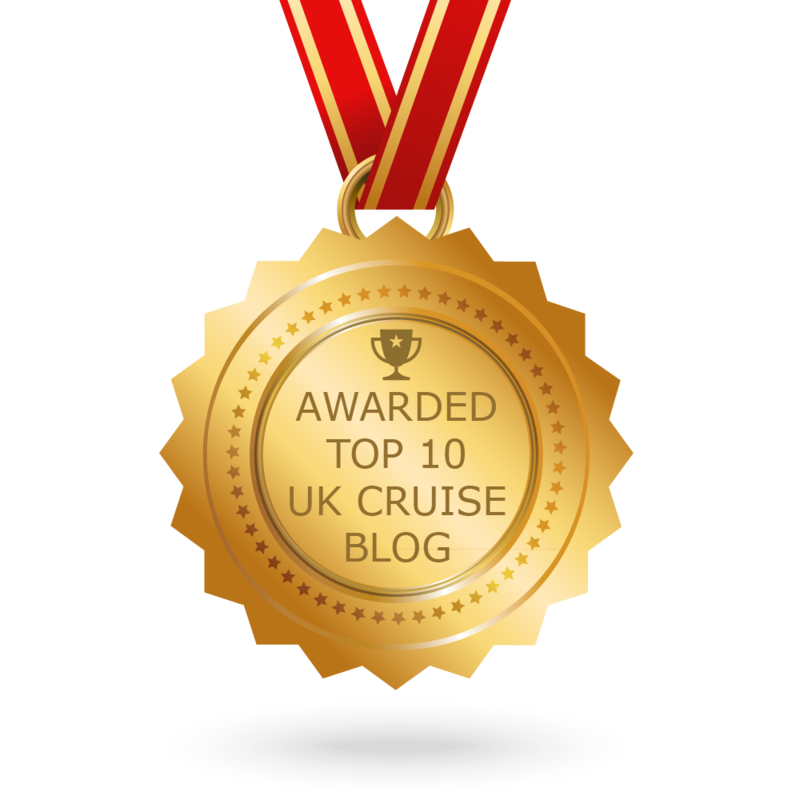 You can find out more about Virgin Voyages via their official website.